Inspired by mid-century modern design, the Azzero Wall Light by Heathfield & Co is created in conjunction with the infamous design duo, Harris & Harris London. The Azzero Wall Light provides a sense of vibrancy with its symmetrical design and modern finish. 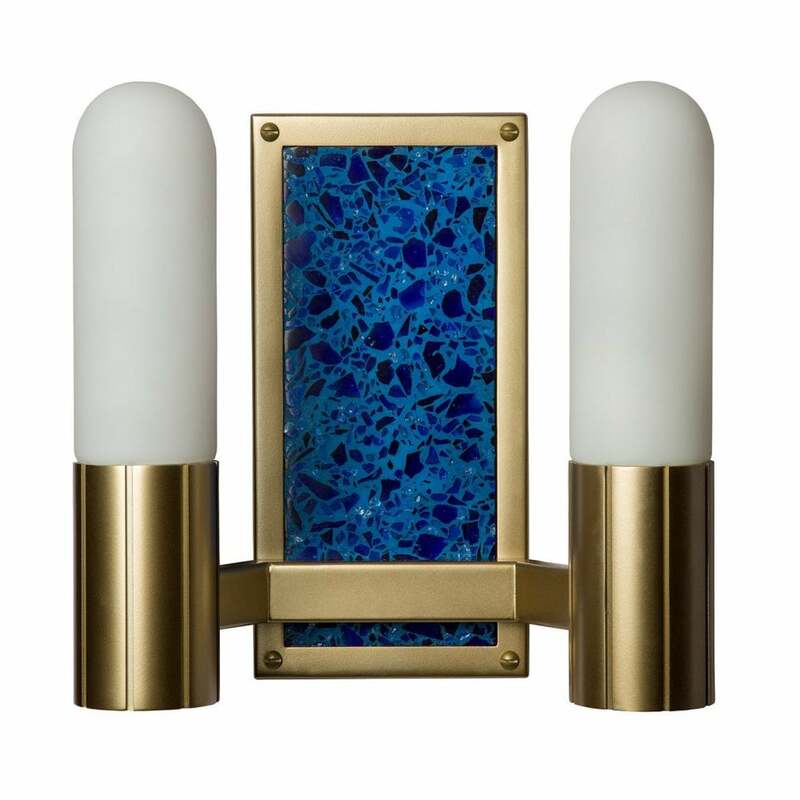 Featuring two opal glass capsules and a contrasting terrazzo back plate, the accompanying gold metalwork brings the two finishes together. Presented in a rich gold hue, the frame perfectly complements the vivid blue stone. Style either side of a fireplace or above a dark wood console table for a timeless look. Also available as a desk and floor lamp.